After a hard day navigating the Mouse House with the family, we enjoy some snacks at HoB before the show. Now I am enjoying the sweet aural candy that is Hellogoodbye. 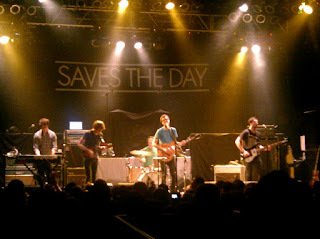 In a few minutes I will have sat through Saves The Day again to earn another amazing set from New Found Glory.